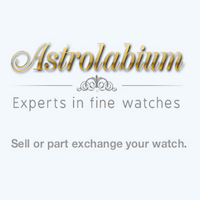 WELCOME TO ASTROLABUIM.COM.UK.Astrolabium is a specialist fine watch and jewellery dealer specializing in brand name watches at great prices. This is a new website but we have the track record and management have been dealing with the international market for 25 years. We maintain a high inventory of stock, which is not always shown on the website. We supply 30 shops in London and all of the UK and internationally so we are certain we will be able to accommodate your wrists needs. 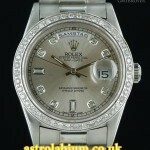 If a watch is not in stock we are sure that within a short period we will be able to source it for you. One of our key areas of interest is limited edition and re-addition pieces from vintage to refurbished pre-owned watches. As you can see from the selection of stock shown on the website we specialize in the higher end we like to call “connoisseur watch market”. We encourage you to contact us before placing an order with anyone else as we have over 300 watches we own in stock at any time. We guarantee we do not sell replica watches, or watches that have been tampered with such as removing serial numbers and replacing internal parts with non-factory elements. Case material: White gold; Charge: Automatic; Conditions: Excellent Presentation condition : Without documents; Place: United Kingdom, London Model: Daytona Price on request Astrolabium Reference: 116509 This watch comes with original Rolex Box & Papers. This Rolex has a Serial: F76XXXX, suggesting that it was made in 2004. 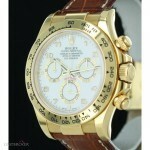 Sophisticated & Sporty 40mm White Dial Rolex Daytona ref. 116509 in 18K White Gold With an 18K White Gold insert bezel, fitted to an 18K White Gold Oyster bracelet, with a Hidden Folded clasp. In superb condition, this beautiful watch will definitely make a statement, and is great with any outfit. 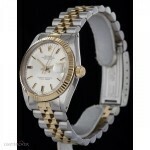 It is perfect for evening wear and special occasions Fine Rolex automatic movement. Case material: Gold Steel; Charge: Automatic; Conditions: Excellent Presentation condition : Without documents; Place: United Kingdom, London Model: Datejust Price on request Astrolabium Reference: 6827 This watch comes with original Rolex Box & Papers. This Rolex has a Serial: 616XXXX, suggesting that it was made in late 1980. 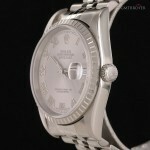 Classic 31mm White Dial Rolex Midsize DateJust ref. 6827 in Steel & Gold With a Fluted bezel, fitted to a Steel 7 Gold Jubilee bracelet, with a Hidden Folded clasp. In good condition, this watch is perfect for a simple everyday look, also great for evening wear. Fine Rolex automatic movement. Case material: White gold; Charge: Automatic; Conditions: Excellent Presentation condition : Without documents; Place: United Kingdom, London Model: Daytona Price on request Astrolabium Reference: 116509 This watch comes with original Rolex Box. This Rolex has a Serial: Z16XXXX, suggesting that it was made in 2006. 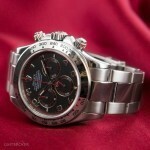 Amazing 40mm Black Dial Rolex Daytona ref. 116509 in 18K White Gold With an 18K White Gold insert bezel, fitted to an 18K White Gold Oyster bracelet, with a Hidden Folded clasp. In superb condition, this beautiful watch will definitely make a statement, and is perfect for evening wear and special occasions Fine Rolex automatic movement. Case material: White gold; Charge: Automatic; Conditions: New Presentation condition : Without documents; Place: United Kingdom, London Model: Day Date / President Price on request Astrolabium Reference: 18239 This watch comes with original Rolex Box. This Rolex has a Serial: W95XXXX, suggesting that it was made in 1998. 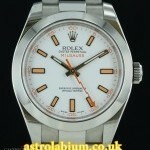 Magnificent 36mm Silver Diamond Dial Rolex Day-Date ref. 18239 in 18K White Gold With an Original Diamond bezel, fitted to an 18K White Gold President bracelet, with a Hidden Folded clasp. In fabulous condition, fitted to an 18K White Gold President bracelet, with a Hidden Folded clasp. Fine Rolex automatic movement. Case material: White gold; Charge: Automatic; Conditions: New Presentation condition : Without documents; Place: United Kingdom, London Model: Daytona Price on request Astrolabium Reference: 116519 This watch comes with original Rolex Box & Papers. This Rolex has a Serial: F55XXXX, suggesting that it was made in late 2004. 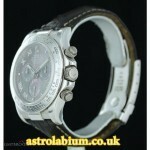 Amazing 40mm, Meteorite Dial Rolex Daytona ref. 116519 in 18K White Gold With an 18K White Gold bezel, fitted to an Original Rolex Blue leather strap, with a Hidden Folded clasp. In impeccable condition, wonderful for evenings and special occasions. This watch will definitely stand out. Fine Rolex Automatic movement. Case material: Yellow gold; Charge: Automatic; Conditions: Excellent Presentation condition : Without documents; Place: United Kingdom, London Model: Day Date / President Price on request Astrolabium Reference: 18078 This watch comes with original Rolex Box. This Rolex has a Serial: R31XXXX, suggesting that it was made in 1988. Unique 36mm Gold Diamond Dial Rolex Day-Date ref. 18078 in 18K Yellow Gold With an Original Bark bezel, fitted to an 18K Yellow Gold President bracelet, with a wonderful bark finish, with a Hidden Folded clasp. In excellent condition, this Marvellous watch will definitely make a statement, and is perfect for evening wear and special occasions. Fine Rolex automatic movement. Case material: Steel; Charge: Automatic; Conditions: New Presentation condition : Without documents; Place: United Kingdom, London Model: Milgauss Price on request Astrolabium Reference: 116400 This watch comes with original Rolex Box & Papers. This Rolex has a Serial: V51XXXX, suggesting that it was made in 2014. Fantastic 40mm White Dial Rolex Milgauss ref. 116400 in Stainless Steel With a White bezel, fitted to a Stainless Steel Oyster bracelet, with a Hidden Folded clasp. In amazing condition, this great watch is perfect for everyday use and for evening wear. Fine Rolex automatic movement. Case material: Yellow gold; Charge: Automatic; Conditions: Excellent Presentation condition : Without documents; Place: United Kingdom, London Model: Daytona Price on request Astrolabium Reference: 116518 This watch comes with original Rolex Box. This Rolex has a Serial: D63XXXX, suggesting that it was made in 2006. 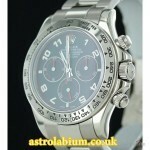 Beautiful 40mm White Dial Rolex Daytona ref. 116518 in 18K Yellow Gold With an 18K Yellow Gold insert bezel, fitted to an Original Rolex Brown leather strap, with an 18K Yellow Gold Hidden Folded clasp. In fantastic condition, this watch has never been polished and still has the original sticker from Rolex. This excellent watch will definitely make a statement, and is perfect for evening wear and special occasions. Fine Rolex automatic movement. Case material: Steel; Charge: Automatic; Conditions: Excellent Presentation condition : Without documents; Place: United Kingdom, London Model: GMT Master II Price on request Astrolabium Reference: 116713LN This watch comes with original Rolex Box & Papers. This Rolex has a Serial: Z73XXXX, suggesting that it was made in 2007. 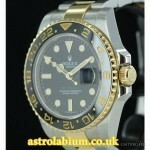 Amazing 40mm Black Dial Rolex GMT-Master II ref. 116713LN in Steel & Gold With a Black insert bezel, fitted to a Steel & Gold oyster bracelet, with a Hidden Folded clasp. In superb condition, this Marvellous watch will definitely make a statement, and is perfect for everyday use and evening wear. Fine Rolex automatic movement. Case material: Steel; Charge: Automatic; Conditions: New Presentation condition : Without documents; Place: United Kingdom, London Model: Datejust Price on request Astrolabium Reference: 16220 This watch comes with original Rolex Box & Papers. This Rolex has a Serial: A70XXXX, suggesting that it was made in 1999. Wonderful & Classic 36mm Grey Roman Numeral Dial Rolex DateJust ref. 16220 in Stainless Steel With a Fluted bezel, fitted to a Stainless Steel Jubilee bracelet, with a Hidden Folded clasp. 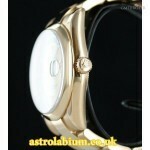 In Great condition, this watch is great for everyday use and will go with any look, it's also great for evening wear. Fine Rolex automatic movement. Case material: White gold; Charge: Automatic; Conditions: Excellent Presentation condition : Without documents; Place: United Kingdom, London Model: Daytona Price on request Astrolabium Reference: 116519 This watch comes with original Rolex Box. This Rolex has a Serial: D85XXXX, suggesting that it was made in 2006. 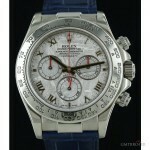 Magnificent 40mm Mother Of Pearl Dial Rolex Daytona ref. 116519 in 18K White Gold, With an 18K White Gold insert bezel, fitted to an Original Rolex Brown Leather strap, with an 18K White Gold Hidden Folded clasp. In fabulous condition, this beautiful watch will definitely make a statement, and is perfect for evening wear and special occasions. Fine Rolex automatic movement. Case material: Steel; Charge: Automatic; Conditions: Excellent Presentation condition : Without documents; Place: United Kingdom, London Model: Day Date / President Price on request Astrolabium Reference: 118205 This watch comes with original Rolex Box. This Rolex has a Serial: P33XXXX, suggesting that it was made in 2000. Exquisite 36mm Pink Diamond Dial Rolex Day-Date ref. 118205 in 18K Rose Diamond With a polished bezel, fitted to an 18K Rose Gold Oyster bracelet, with a Hidden Folded clasp. In superb condition, this beautiful watch will definitely make a statement, and is perfect for evening wear and special occasions. 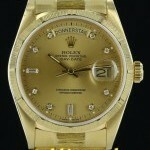 Fine Rolex automatic movement.